Strong claim, right? I wouldn’t say it if I didn’t believe it! Here it is…Group Exercise! I’m sure you think I’m slanted because I am a group fitness instructor. But the honest truth is, after surveying 8 years of classes, I’ve found group exercise to be one of the best motivators to get–and keep–people in shape! An exercise format that incorporate several different modalities of exercise that is taught in a group setting by one or more professionally trained instructors. It runs the gamut of the type of class: traditional aerobics, step aerobics, kickboxing, Crossfit, Zumba, Bootcamp, Pilates…the list goes on and on. Here’s Why You Need Group Exercise! Whether it’s with the person beside of you or your instructor, there is an accountability automatically provided once you start attending a class. I know for myself as an instructor that I miss “regulars” if they aren’t there! We all know that accountability is HUGE in all areas of our lives! You can have a great workout, but if you aren’t doing it consistency, you will get minimal results! It’s really hard to mimic the intensity that you find in a group exercise class by yourself at the gym. I know this to be true because I’ve experienced it myself! You will work harder and smarter with an instructor leading you. You’ve had a rough day. The last thing you want to do is think of some new ways to challenge your body. The best thing about group fitness is you can literally go in on auto-pilot. You follow what the instructor does and voila—excellent results! I can’t tell you the number of times the students in my class have said, “I’ve never thought of this!”. As an instructor, I am responsible for teaching my students new ways to incorporate equipment and moves to get results. I have had many students tell me that they’ve taken the exercises they’ve done in class and added them to their reporitres of moves they do at home or at the gym! There is something about seeing other people struggle with the same things you are. And there’s something to see people improve and gain victories every week. A good instructor will leave you wanting more. You should want to come back and bring a friend. You should want to NEVER miss one of the classes because of the fun you are having! Many of you may agree with my points above, but may not be attending group exercise classes or even know where to start. Try these! ♦ Gym. If you belong to one, why on earth aren’t you attending Group X? Many are included in the price of membership. Try one. Try a few. Get your money’s worth out of that membership! ♦ Colleges. I teach my pilates class at a college! So I’m dying to know. 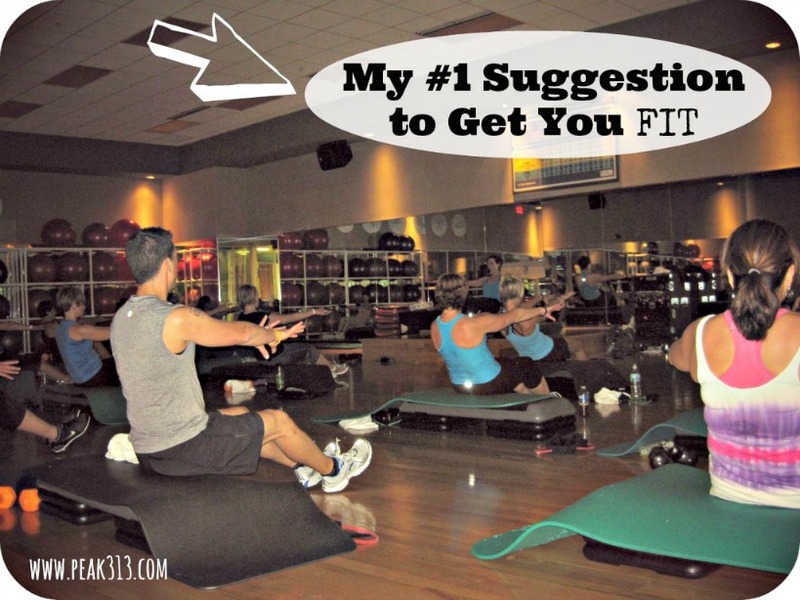 Do you attend group exercise classes? What is your favorite kind? How have they impacted your fitness level? What keeps you from doing group exercise? Comment away!!! This is very true. I walked with a friend when I started my journey. We walked together 5 days a week. When I was ready to move on from walking, I did videos at home; which was good for awhile, but its hard to motivate yourself when no one is watching you. 🙂 Then I switched it up to running and always enjoyed running with others, though most of my training I have done alone. When I get to run with someone else, it is super fun (but I run slower – lol). Now I have a very mixed up workout schedule. I run several days a week, attend a bootcamp class with a few friends out at a local middle school, and do an Ultimate Cardio (dance) class once or twice a week. I love seeing the same people and knowing I’ll be missed if I don’t show up. It keeps me motivated! I did Zumba for awhile (the dance class I take is just about the same thing, just not a certified zumba instructor and its more intense) but it took me a year of someone inviting me before I had the “nerve” to get out there in front of people. Note from my experience – I learned no one is really looking at/watching you so don’t worry about it. Get out there and make some new friends while doing it! YES!! That’s what I tell everyone–no one is looking at you!! They are worrying about their own workout! LOL! I must say that I do agree with your points here. I am sad to say I can’t really participate in group fitness right now. I am a mommy of 4 little ones. The oldest is 4 and the youngest is 4.5 months. I don’t have the option of joining a gym due to cost. Yet I have a neighbor friend that I walk with when we can make the schedule work. I have a much better time when I walk with her. She pushes me and challenges me and encourages me. Not to mention the fact that it is a great time to just hang out with a wonderful lady. I also just completed my first 5k ever last weekend. I had a personal record even though most of the last two miles were up hill! It was because it was a crowded race. There were over 4500 people in the race. There were several running groups of all skill levels there, and at different times in the race I was beside these teams and was able to benefit from their coaches encouragement and directions. One of these days I hope to join a fitness program or group of some sort. Until then I will keep doing what I can. I do agree. All your points are great. Great job Amy! You are doing the best you can in your phase of life!! I know that this is a common struggle for many SAHM’s and those who have little ones at home. I also don’t belong to a gym that allows me to take my kids there so the only group fitness I get in, is when I can teach. Hopefully in the future that will change, though!! Love that you have a walking partner and congrats on your 5K!!!! Like Amy I’m not able to join a gym in this season of life – I have 3 babies under 2 1/2. But, I LOVE to exercise so really my problem is finding segments of time to get in a workout dvd. I’ve been enjoying your videos too! Maybe someday I can do group exercise. I would really enjoy it, I think! I had always been into “flying solo.” When I started working out, it was alone in my basement for the longest time. I started running and joining running groups pushed me further than I could have ever imagined. (Just ran my 8 or 9th half marathon and am signed up for my 3rd full.) Going to your classes has taught me things I incorporate into my workouts to this day! Let alone the amazing women I’ve had the chance to become friends with. I recently joined CrossFit and you are so right about trying and doing things I NEVER would have attempted on my own! We joined a gym a couple of years ago and I started cycling/spin classes. I never have been a fan of group exercise…always felt intimidated and uncoordinated. But with cycle, I only need to be able to ride a bike and turn the resistance knob. I love that, but was reluctant to move to classes where they leave the lights on the entire time and you have to actually be coordinated with your feet. This year, I set a New Year’s Resolution to get to the gym 3x a week, rather than trying to lose so many pounds or set really lofty goals. Kept that goal in January, and got a heart rate monitor in February to track calories burned in cycling class. Then I realized in March I needed more challenge. So I ventured out of the cycling class into Body Sculpt and On the Ball strength classes. Stuck with that…I’m now going to the gym 4-6 times a week and doing classes most of the time. In May, I decided to add TRX to my class schedule. I have taken four classes and I am starting to feel stronger, especially my core. I could never challenge myself like I am in these classes. And I am not as uncoordinated as I thought I would be. I don’t think Step would be my thing…but I’m actually entertaining the idea of trying Zumba for my next class challenge (and I can’t dance!). So we’ll see. By the way, I have lost almost 22 lbs and feel stronger than I have in years (maybe ever). I have four children who enjoy the childcare at the gym, too (ages 6, 5, 3 and 1). My older two can sometimes participate in KidFit classes while I am working out. We homeschool, so the gym gives me the added benefit of getting a few minutes to myself each day. We are definitely getting our money’s worth out of the gym each month! Monday, Wednesday, or friday at 6 am. I also love to walk with friends and our babies but that isn’t as consistent. Id love to do power yoga more frequently, and may in the future, but for now this will have to do! Thanks for the great post! I have actually began thinking about possibly becoming a group fitness instructor lately. I am a sahm to 4 kiddos – and my youngest will be in 4k next year – then all day kindergarten the next (so sad!!). Fitness is a huge passion of mine and I have a dance background. So my husband and I have been praying over this. I have no time frame – and have not even looked into how one goes about becoming certified for different classes – but just wanted to let you know that this post was just the perfect little prompting for me – so thank you, Clare 🙂 This would also become a wonderful ministry opportunity at my church. Thanks again! At this season in life I am unable to do group classes. I am a single mom so time and finances do not allow for it. I would love to do a Pilates or Crossfit eventually! But for now my daughter and I use your videos/printable sheets, running and other exercises to get into shape. I am hoping her and I can do our first 5K this summer/fall. I have started going to Zumba and love it. I was so intimidated to even try it, but a friend teaches at the Y and convinced me to at least try. No one really looks at you, they are watching instructor. I highly recommend it . My goal is to be at the Y for group exercise 3x/week. I love the class environment, because it pushes me harder than I would push myself. I might only do 2 reps, rather than the 3 or 4 reps with the class. We keep track of each other and welcome each other back after absences. I work harder in group that I do on my own. I do 1 hour of cardio followed by 1/2 hour of core strengthening. My instructor LOVES planks!! I’m slowly getting stronger! I have NEVER worked out at a gym or with other people. I like doing things in my own home and walking after my husband gets home from work, but this month I started going to Zumba at our church. It is fun! I get a great workout and I laugh! I love group exercise, which is why I decided to start teaching class at my church’s gym last year. Most of my class is young moms. The class is at 6-7am, so they’re able to workout and get home before their husbands head to work. I like that time because I’m able to get my workout done before I head to my full-time job for the day. I think you are right about hidden accountability- I’m not doing any group class now and I know I don’t push myself as hard. The only thing is- every time I try do a group class, boot camp, zumba, kickboxing- I end up getting injured- I think because I push too hard- it is very frustrating. I do not do group exercise classes due to cost. I work four part-time jobs to help make ends meet, and so joining a gym is out of the question. There is one church 10 miles away that offers exercise classes, but they are at a time of day that I am often working. If it happens to be my day off, then I do not go b/c of the distance (time and gas money). My “group” exercise consists of walking the dog with or without family members. Truly, the dog’s need for exercise is what keeps us accountable! That is good, b/c it’s all we can manage at this time in life. I always say that if I had an extra $75 a month (the cost for the gym that is closest to me and the one that offers classes) I would join. But right now, I’m blessed to have enough money to meet our needs. I prefer to run alone but I really enjoy being able to mentally give the reins to the instructors at the YMCA where I take 2 strength classes a week. I am an American living in China, and am the Zumba instructor within thousands of miles! I teach Zumba as a way to spend time with locals and build up woman around me. When I am in the states, I take group weight lifting classes 2 times a week and a group cardio like Zumba 3 days a week. I pick my gyms based on the child care, and meet all the baby sitters before I commit. I am always looking for God-lovers who think exercise is important and am so happy I found you. Thanks for all your great ideas and encouragement. I just finished a blog about why I love teaching Zumba. Love this!! Thanks for stopping by and keep on teaching! We need good ones out there!! I absolutly love group fitness classes, In Australia the ‘les mills’ classes are all the rage at the moment, pretty much pre-coreographed step, arobics, weights, pilates etc. I was so afraid to try them at first, I’m painfully shy let alone trying to keep co-ordinated with music, but now I look forward to them each time! And the accountability tied into them is also a great bonus! I LOVE my Zumba class. I really like Willpower and Grace and a yoga class I’ve taken, also, but I have a scheduling conflict with those classes now. Thank you so much for reposting this! I love group fitness both classes and groups. I was part of masters swim group and running club. Question. 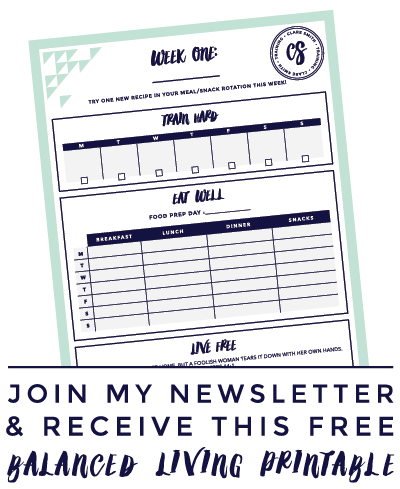 I am newer to Columbus and struggling to find my exercise group connection here. Love the idea of checking out classes at the colleges and churches. Had not thought of that. However, I know you are in Ohio, do you know anyone here that you would recommend? Any Columbus class or exercise group recommendations. I have a feeling if I lived where you live I would be at your classes. Thanks for your beautiful light!